Appearance Clear, Colorless volatile liquid with characteristics Odour. 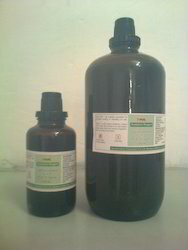 We are one of the leading suppliers of Diethyl Ether AR. Clear, Colorless volatile liquid with characteristics Odour. Looking for Diethyl Ether HPLC ?